On the north coast of Peru is the city of Los Organos, this place has a tropical ecosystem like no other. From the coast you can see various animals, turtles, rays, whales and many marine birds, among others. 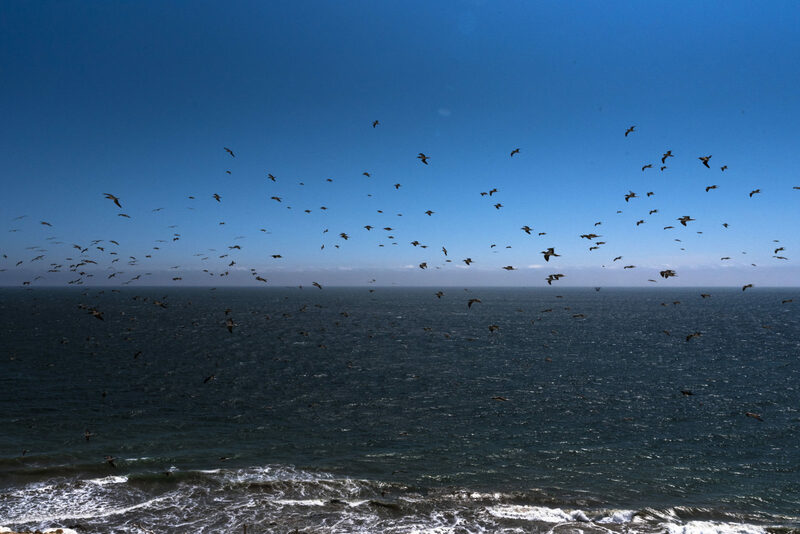 After a walk in the mid-day sun, I was able to arrive, together with the marine biologist Daniel Cáceres, at the resting place of the blue-footed boobies, here I was able to see how these birds flew in front of the cliff in search of food. After a few minutes of watching this task, I was able to capture this photo that inspires not only freedom but also hope for all the animals that seek to be protected under the laws of the Peruvian government. Definitely a spectacular view!